125 million Americans live in areas of high ozone or particle pollution, and Weatherbug’s new and improved mobile app is now using AI to help them manage their exposure. Some of the worst cities? 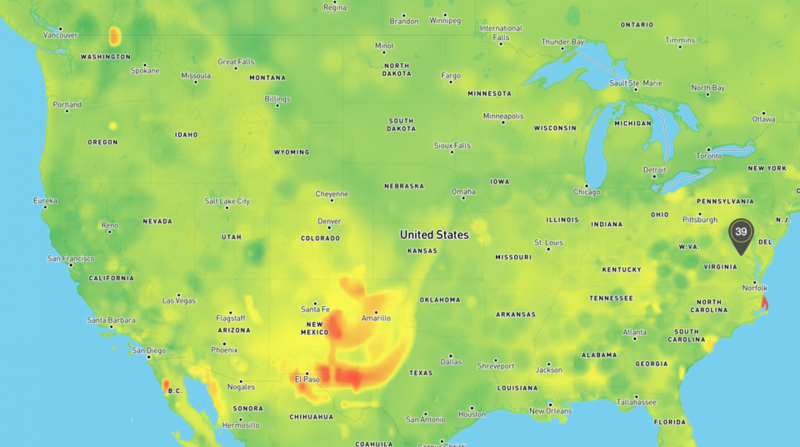 Bakersfield, Fresno, San Jose, San Francisco, and — of course — Los Angeles are on the top-ten list of of most-polluted U.S. cities for atmospheric particle pollution. But New York, Las Vegas, and Phoenix are all on the list for ground-level ozone pollution. But the problem is that cities are big — hundreds of square miles in some cases — and air quality is not the same everywhere.